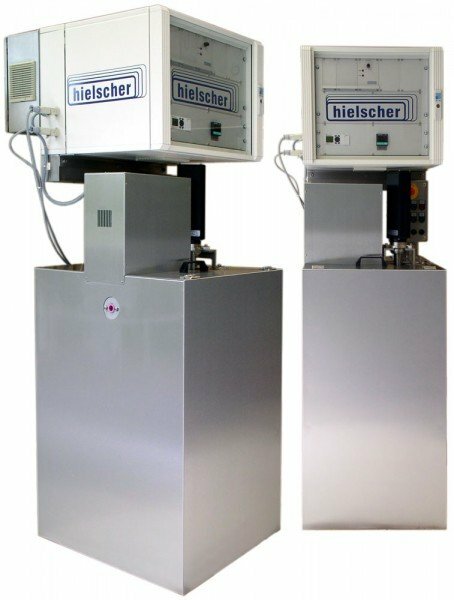 Hielscher manufactures ultrasonic cleaning systems for the removal of contamination, such as lubricants, drawing oil, dust, dirt, soap or stearate from continuous profiles, such as wire, tube, flat strip or cable. The USCM series is designed as number of cleaning modules. Each of the USCM modules in a self-contained cleaning unit ready for plug-and-play operation. The USCM modules are available at various lengths between 600 and 2000mm. For multi-stage cleaning or rinsing operations, you can combine two or more USCM modules along the line. Your cleaning requirements will define the length and configuration of this highly adaptable cleaning system. If you plan line-speed upgrades in the future (de-bottlenecking), you can buy a cleaning module with spare slots, so you can add more sonic heads later. Alternatively, you can add another USCM cleaning module to the line, should you need it. Ultrasonic wire cleaning is a contact-less, yet mechanical cleaning method. It uses ultrasonic cavitation. Therefore, it requires less, less harsh or no chemicals at all. This makes ultrasonic cleaning an environmentally friendly alternative to conventional acid or solvent cleaning. Some clients use water, such as DI water only. This is ideal for food-grade or medical wires. Of course, using less harsh chemicals improves workplace safety, too. The USCM modules are made of stainless steel to last many years of operation. Each module includes intense ultrasonic cleaning, liquid filtration, heating and recirculation and air-wipes for drying. 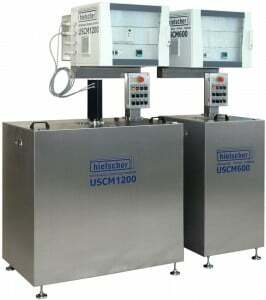 Hielscher USCM cleaning systems can process profiles in-line at various line speeds of up to 200m/min, easily. For cross-sectional diameters of more than 25mm and for multi-wire cleaning, we do have customized solutions. Please contact us for more information! 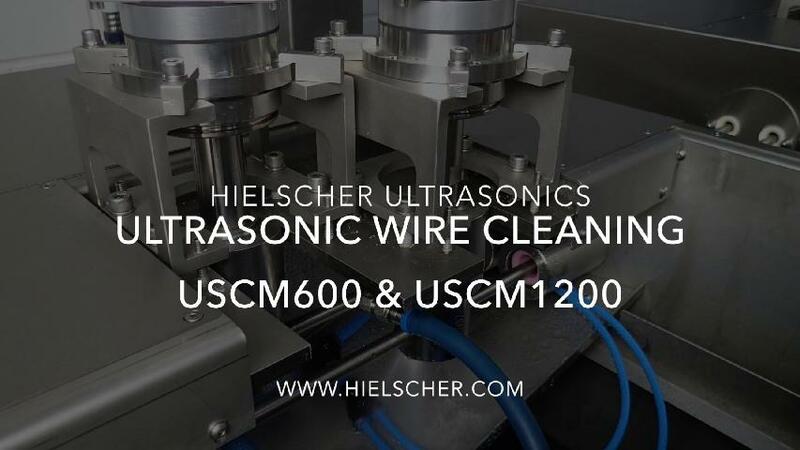 This video shows the USCM600 and the USCM1200 configured for the ultrasonic in-line cleaning of two parallel wires. Please contact us! We will be glad to assist you. Please put your contact details into the form below. 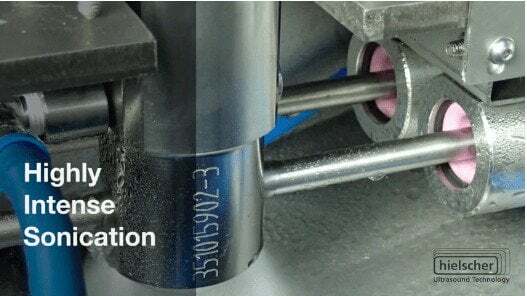 Please provide information about the profile dimensions and material, line speed, contamination, space restrictions, cleanliness requirements and the process step before and after the cleaning station. This will enable us to assist you better. Thank you! The USCM cleaning modules can be used for all kind of profile materials, such as copper, aluminium, stainless, brass, glass fibre, threaded yarns. Typical cleaning liquids are DI water or water with low concentrations of neutral detergent, alkaline or acidic cleaner.